A title ripe with hilarious joke potential (Shadows Die Loads! Hur hur hur!) Sekiro: Shadows Die Twice is inescapably a FromSoftware experience. Combat is measured and demanding, skill and patience an absolute must. Death is punishing and heartbreaking, and the world is evocative, grimy, and dark. And yet, Sekiro: Shadows Die Twice is something markedly different from Dark Souls and Bloodborne, boasting incredible stealth mechanics, awesome swordplay, and a formidable prosthetic arm that can be fitted with all manner of tools, including a grappling hook for traversal, and getting out of a pinch. Sekiro sounds great, then, doesn't it? Could it be FromSoftware's best game yet? Read our definitive Sekiro: Shadows Die Twice review to find out. 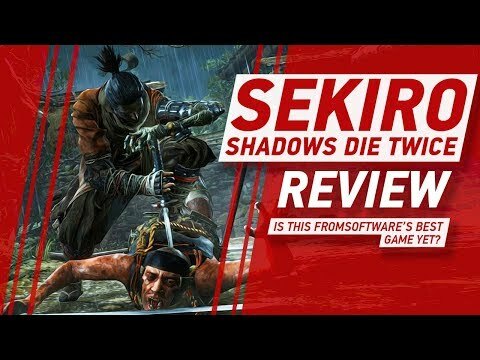 Sekiro: Shadows Die Twice Video Review: Is This FromSoftware's Best Game Yet?